Consultancy Vivid Brighton has created the Hello Horsham brand for the West Sussex town business and events directory. The project involved creating the brand identity and website, which features a bespoke CMS. BrandOpus has created the branding for Candyland – the umbrella for a number of confectionary offers owned by independent confectionery manufacturer Tangerine. 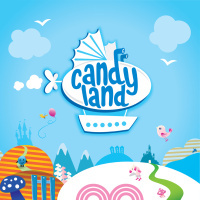 The concept is based around the ‘embracing nonsense’ theme, positioning Candyland as ‘a magical world where all sweets come from’, according to BrandOpus. Candyland products include Dip Dab, Flumps and Refreshers. Fiasco Design has created an infographic about Glastonbury Festival, aiming to illustrate how audiences engaged with the event online. The self-initiated project resulted in a graphic Shown here that looks to show how audiences used digital platforms on TV, desktop and mobile devices. Haworth Tompkins Architects has designed the V&A’s new Clothworkers’ Centre for Textiles and Fashion Study and Conservation. The centre will be sited at Blythe House in Kensington Olympia, west London, and will open on 8 October this year. It will house more than 104,000 objects including archaeological Egyptian textile fragments, medieval tapestries and contemporary designs, which will be accessed by researchers, students and enthusiasts. 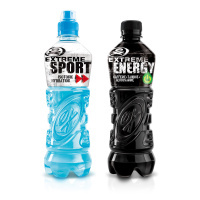 Blue Marlin’s Bath studio has created the packaging for Extreme, a new energy and sports brand from Vimto Soft Drinks. The designs aim to ‘capture the ever-shifting concept of “cool”’, according to Blue Marlin, with a look inspired by street art and graffiti. Consultancy Lippincott has appointed Charles Wright as senior partner in its London office. Wright was previously managing director of Wolff Olins’ Dubai office. Kitcatt Nohr Digitas has created new marketing materials for charity Dogs Trust, aiming to recruit new supporters. The direct mail packs feature Wonky, a dog with malformed front legs that was found abandoned. Copy on the packs reads, ‘If you threw me a ball I couldn’t fetch it’. Springetts has designed the Inspire campaign paints and coatings brand Azko Nobel. 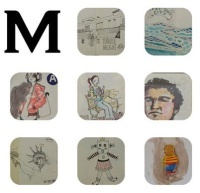 The designs use an ‘open door’ icon and theme, with an abstract letter ‘I’. Marcia Mihotich has created the branding and packaging for a new retail range from The School of Life, a cultural enterprise offering talks and events programmes founded by Alain de Botton. Morgwn Rimel worked with de Botton on creative direction for the range, which includes notebooks, pencils and cards that aim to complement the School of Life classes and books. Smack Design has designed and built a website surrounding a UN talk by Malala Yousafzai, the Pakistani school pupil and education activist who was shot by the Taliban last October. The consultancy was appointed by children’s charity Plan UK to create a site that could live-stream Yousafzai’s speech, which takes place today in New York. The site also gives details about Yousafzai, the UN Youth ‘Call to Action’, a petition and forum. Consultancy Brand Remedy has rebranded accountancy firm Littlejohn, renaming it PKF Littlejohn tor reflect the firm’s move into the PKF International network. 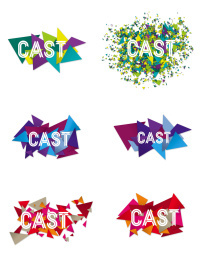 The new identity is shown across the website, service leaflets, email templates and signage. 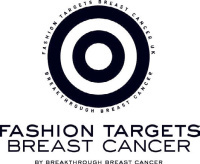 Nalla Design has created a new identity for the Fashion Targets Breast Cancer charity initiative. The designs aim to create a ‘summer-led’ and ‘fun’ feel, created by individually scanning real flower petals to form a target symbol. Architect Foster + Partners has appointed Lee Hallman, previously head of design at Candy & Candy, and two of his former design directors, to lead the practice’s interiors group. Paisley-based consultancy Designline Creative has created a thistle-based brand identity for Glasgow Airport. The logo uses a stylised thistle design, incorporating the letter G of Glasgow, and uses the colours of the Saltire to underscore the brand’s Scottish heritage. Carter Wong design has appointed Sarah Turner as managing director. 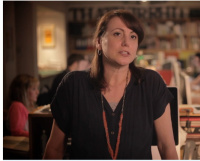 Turner has worked at the consultancy for 13 ears, most recently as account director. Nesta has announced the winner of its Hands Off My Bike challenge as BiKLOX, a light, portable bike lock with a locking bar that fits between wheel spokes and stave to immobilize the pedal, with an additional cable lock to further secure the bike. 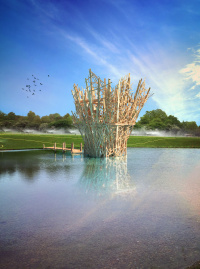 It was designed by Cheshire-based Steve Blanks.